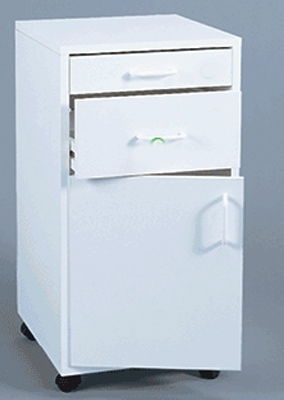 * Martin Modular Mobile Cabinet with 1 standard drawer (2.5"), 2 deeper drawers and 1 fixed shelf. * Size 16' W X 16.25 D X 28.5" H ( without casters ). 34" x 19" x 8"